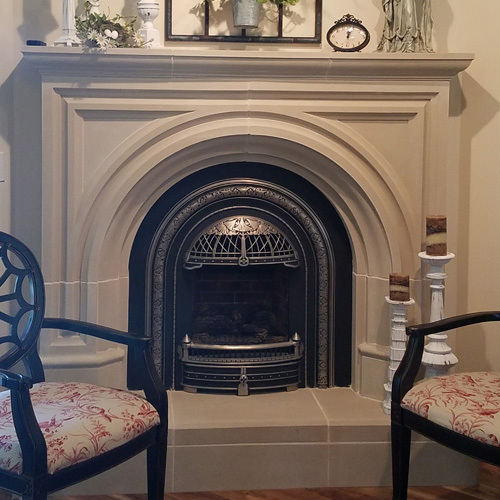 One of the newest additions to our line, the Roman cast stone fireplace is a standout favorite. This design is based off our original Rothton design but removes the keystone from the top arch of the firebox, creating a slighy sleeker profile. This updated fireplace design still has all the signature features of the original Rothton including a rounded arch firebox opening accented by clean lines. Luxuriously classic and traditionally beautiful, you’ll take your living space to new heights with this one simple addition.